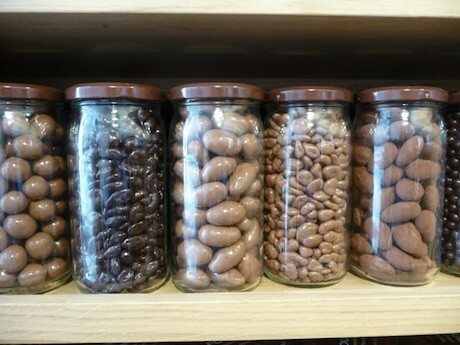 I thought I knew every decent Paris chocolate in existence. I’d spent an entire month testing the chocolatiers of the city and I had a guidebook specifically for Parisian chocoholics. But somehow I’d overlooked a very important member of the crowd: Fouquet. The Fouquet family, not at all affiliated with Fouquet’s, a café on the Champs Elysées, has been making jams and chocolates for over 100 years and selling them from a beautiful antique shop on the prestigious rue François 1er for nearly as long. The chocolates are created at a second Paris address, in the 9th Arrondissement, where there is a shop and laboratories that have been part of the family enterprise for more than a half century. But lovely surroundings and a great address are just part of the attraction. The real star is the chocolate. The Fouquet chocolate base is perfectly tempered for a well-balanced flavor that melts creamily on the palate. 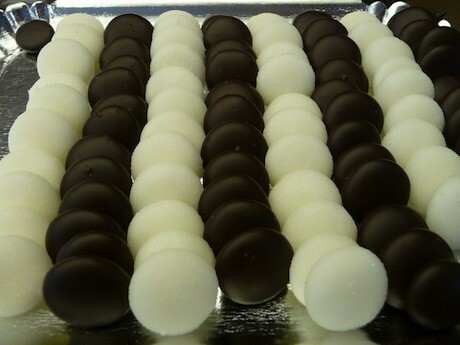 Fouquet offers some original combinations, like an ideally crisp, paper-thin gingersnap cookie dipped in dark chocolate. 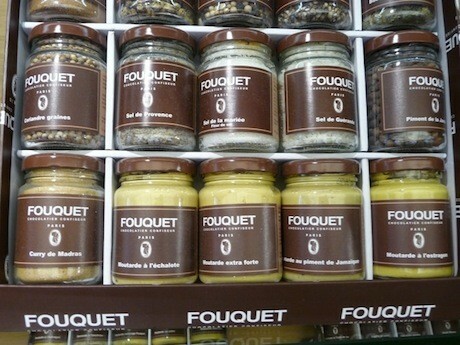 And Fouquet has more than just chocolate. The pâtes de fruits, or fruit jellies, are divine, and the bright sugar cubes are like a blast of childhood in your mouth. Today’s owners, the brother-and-sister team of Catherine Vaz and Frédéric Chambeau, respect the family traditions, including some time-honored relationships with artisanal food manufacturers from across France, which is why you’ll find a small condiment section in each boutique, featuring house-brand vinegars, mustards, salts and spices on the savory side, with honey, jams and tea from the sweets counter. It seems odd, but when you taste these fine products, you quickly understand that they deserve to share the spotlight with Paris chocolate. 22, rue François 1er, in the 8th Arrondissement. 36, rue Laffitte, in the 9th. 42, rue du Marché St.-Honoré, in the 1st. Editor’s note: Are you a gourmet type? If one of the main reasons that you come to France is for the food, then why not download one of our foodie tours?